This is a fun weekend project that comes with a beautiful laser cut case. 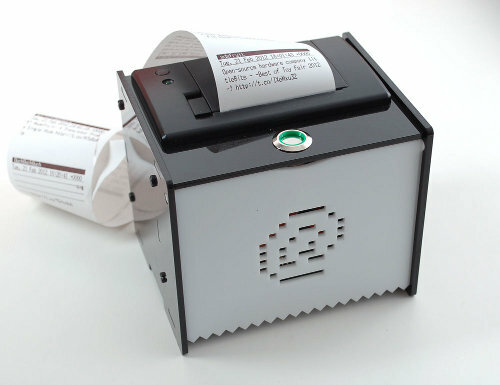 Once assembled, the little printer connects to Ethernet to get Internet data for printing onto 2 1/4" wide receipt paper. The example sketch we've written will connect to Twitter's search API and retrieve and print tweets according to your requests: you can have it print out tweets from a person, a hashtag, mentioning a word, etc! 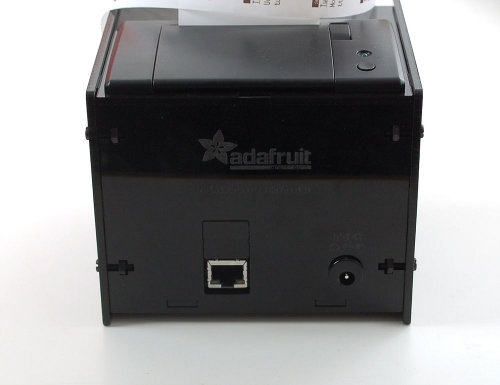 Once you've gotten that working, you can of course easily adapt our sketch to customize the printer. This pack does not contain an Arduino+Arduino Ethernet Shield, Arduino Ethernet or Ethernet cable To complete the project you will need to add either an Arduino + Ethernet Shield or an Arduino UNO Ethernet. If you're using an Arduino UNO Ethernet you will also need an FTDI friend or FTDI cable to upload the sketch.